Washington, May 26 (IANS) Reflecting on the completion of one year of Prime Minister Narendra Modi’s government, the US media on Monday underlined various challenges facing his government, saying he “must face the reality that much of his agenda is still only potential”. 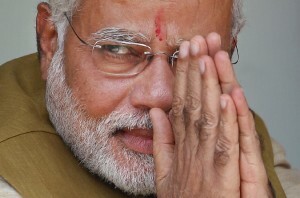 “After soaring through IndiaÂ’s political stratosphere on the economic promise ‘achche din aa gaye’ or ‘better days are coming’, Mr. Modi must face the reality that much of his agenda is still only potential,” the New York Times said while analysing the achievements of the prime minister’s one-year-old government. The NYT pointed out that India is now seen as a bright spot as soon-to-be “the worldÂ’s fastest-growing large economy,” but at home, “job growth remains sluggish”. Listing the political challenges faced by Modi, the US daily said the opposition had blocked “two of his central reform initiatives and brand him ‘anti-poor’ and ‘anti-farmer'”. On the economy front, the Journal said Modi’s government has avoided privatising state-run banks and companies, “which could trigger unpopular job cuts”. “Despite vows to improve IndiaÂ’s reputation for unpredictable tax collection, the government has hit investors with demands for back taxes they say they shouldnÂ’t have to pay,” it added. Analysing Modi’s Â“Make in IndiaÂ” campaign, the Journal said the aim of supercharging manufacturing growth to 12-14 percent a year, “is so far mostly hype”. “In the year ended March 31, manufacturing activity expanded by 6.8 percent, from 5.3 percent the previous year, with electricity shortages and congested ports holding back growth,” the report said. According to the daily, foreign institutional investors (FIIs) have pulled around $2 billion out of Indian stocks and bonds in May so far. “IndiaÂ’s benchmark S&P BSE Sensex is among the worst-performing major Asian indexes this year, with a gain of 0.5 percent through Monday. JapanÂ’s Nikkei 225 and Hong KongÂ’s Hang Seng Index are up more than 16 percent so far this year,” it said. The NYT said that if Modi was to succeed, “he must cope with a huge, fragmented bureaucracy”.